Transform Accounting – the accountants for small business, are now offering the option of cloud based on line accounting systems to our existing and future clients. – A sole trader or an individual with rental properties may require once a year assistance with tax planning, tax return preparation and HMRC filing. – A contractor or consultant with a vat registered limited company in addition to the requirements of a sole trader will also usually require book keeping, payroll, quarterly vat returns, statutory accounts filing and advice regarding dividend payments and keeping tax bills to a minimum. – Other clients require Transform Accounting to take over their back office functions entirely to provide services including invoicing, credit control, accounts payable and cashbook management in addition to those services provided for contractor/consultant limited companies. – Small business owners of all types will often also require regular management accounts, tax position updates and profitability analyses. In order to satisfy these clients, Transform Accounting have assessed the various cloud based accounting systems available in the UK and after a successful pilot have chosen Xero accounting as their preferred cloud accounting partner. 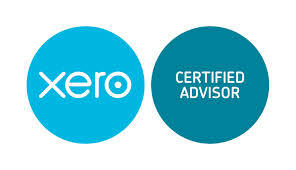 Transform Accounting will now be offering the option of cloud based on line accounting systems to our existing and future clients.Both partners of Transform Accounting have recently earned Certified Advisor status from Xero accounting. We will publish more details in later posts, but if the idea of being able to share access to your company accounts by either a web browser, ipad, iphone or android phone app appeals then this could be ideal for you. – having access to your most up to date accounts allowing you to immediately see how your business is performing. As a measure of confidence in Xero, Transform Accounting Ltd have already moved their own company accounts to this platform and have started to migrate existing customers and new clients alike and all have been delighted with the results. If you would like to know any more about how cloud based accounting could help your business, or if your old accountant does not offer this option, please get in touch with Transform Accounting. It appears that accounting and bookkeeping software authors Sage have finally woken up to the potential of cloud based computing by announcing a strategic alliance with IT giant Microsoft. 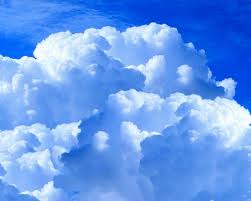 They hope to be able to offer a cloud based accounting software solution so that their customers can choose to either host their own systems (on premise) or to access via the internet to a system running sage software (cloud), meaning that the user will not have to worry about software installs, backups, updates etc. The cloud based infrastructure will be provided by Microsoft’s substantial data centers. But, these offerings are not expected to be available from some time in 2013. Sage hasn’t had a lot of luck with its system development recently with its Sage One system being criticized as being too basic for many businesses and its offerings for iXBRL tax filing were dogged by development problems resulting in Sage announcing two weeks before the due implementation date that it wouldn’t be ready and having to resort to using Thomson Reuters One source system as a stop gap until it was ready. Microsoft has also hardly set the world on fire with their accounting system offerings in the UK in the last decade, despite a number of high profile acquisitions. The expectation is that the combination of these two companies will result in excellent integration between the cloud based Sage products and cloud based versions of Microsoft’s office suite. But the acid test will be once the products are actually available. With many competitors already offering impressive cloud based solutions, and the Sage/Microsoft offering still a long way off. Many potential new clients who specifically wanted cloud based software will have chosen their competitors, and Sage may have trouble persuading their current customers to make the switch. For this to succeed, Sage will need to modernize their current products before their cloud launch and increase the flexibility in their pricing model. I fear an online version of their current products just won’t cut it. If you are going to be late to the party, you better be good!